Lexus has added a three-row version to its popular crossover SUV model without undermining its winning qualities. Yes, the 2018 Lexus RX 350L has a big grill. Get over it. Many car writers seem to have to mention that whatever Lexus model they are review has a large "spindle" grill. They all do. It's the current corporate look. But having recently attended the 2018 Seattle International Auto Show, I can say that many manufacturers are going with bolder styling touches these days. The new Toyota Corolla Hatchback can be ordered with a huge rear wing. The front end of the updated Acura RDX is as subtle as a brink. The completely redesigned Toyota RAV4 looks beefy. Even Subaru is offering a bright Sport trim package its redesigned Forester. What really matters is how a vehicle performs under a variety of driving conditions. And because the good people at Lexus were kind enough to loan me a 2018 RX 350L for the trip from Portland to Seattle and back, I can say it was very comfortable on the freeway and nimble enough to easily handle congested downtown traffic, despite being stretched 4.3 inches over the five passenger model to accomodate a third row of seats. Like most manufacturers, Lexus already offered a three-row SUV — two in fact, the fullsize GX and LX models. 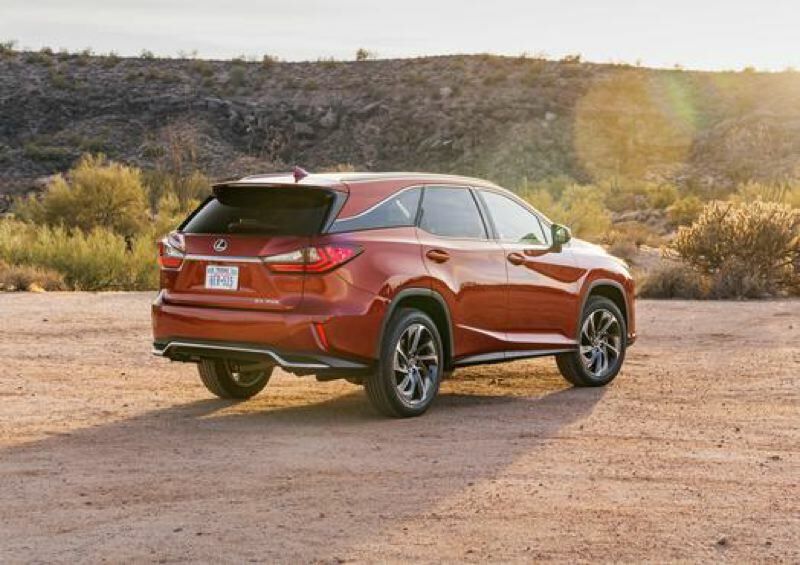 The RX has traditionally been its smaller, sportier family hauler. But for 2018, corporate officials apparently realized that some owners only need to carry up to seven people every so often. 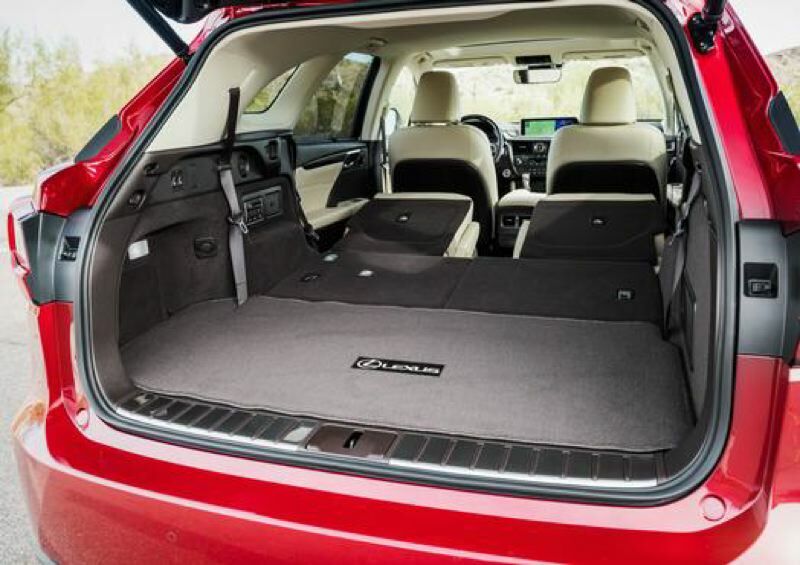 They don't really need a fullsize SUV — even those as nice as the GX and LX models. So slipping a small third row into the RX while keeping the original wheelbase offers flexability without undermining the original concept. The surprising thing is, the resulting 350L doesn't look too ungainly. The proportions are a little different, of course, but not to the point of being awkward. Part of the reason is the wild styling — yes, I said it, too — helps conceal the added length. The bold lines and sharp angles that characterize the current Lexus models are a great distraction. Inside, drivers and front seat passengers will have a hard time telling the difference from the five-passenger model, especially with the rear seatd folded down. Passengers in the second row might notice there's a little less leg room, but not enough of a loss to complain about. 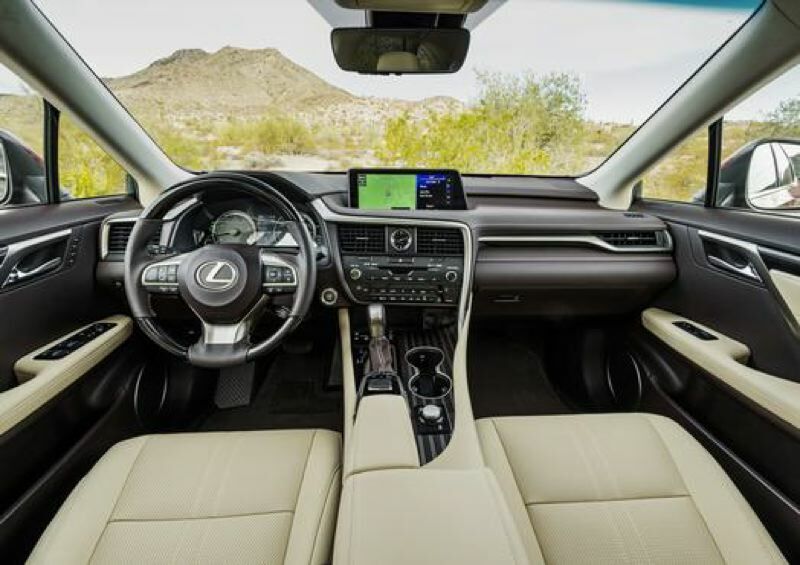 Other than that, the 2018 Lexus RX 350L maintains the company's reputation for premium luxury vehicles. The standard 3.5-liter V6 provided plenty of power for freeway passing and climbing Seattle's many hills, the eight-speed automatic shifted smoothly and always seemed to be in the right gear, and the interior materials were of the highest quality. The Premium Audio Package helped pass the hours between cities, while the safety systems provided ample warnings for slowing vehicles ahead and those in the blind spots. 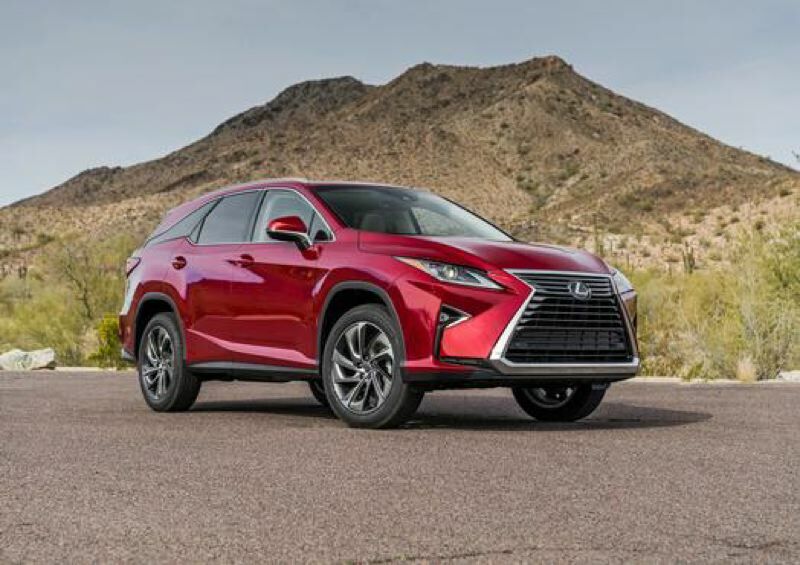 The 2018 Lexus RX 350L starts at under $48,000 and our well-equipped version listed for $58,190, which is certainly in the range for such vehicles. Sport F and hybrid versions are also available.